Chromebook Data Science (CBDS) is a free online educational to help anyone who can read, write, and use a computer to move into data science, the number one rated job. It is a sequence of 12 MOOCs offered by faculty members in the Johns Hopkins Department of Biostatistics, Bloomberg School of Public Health. 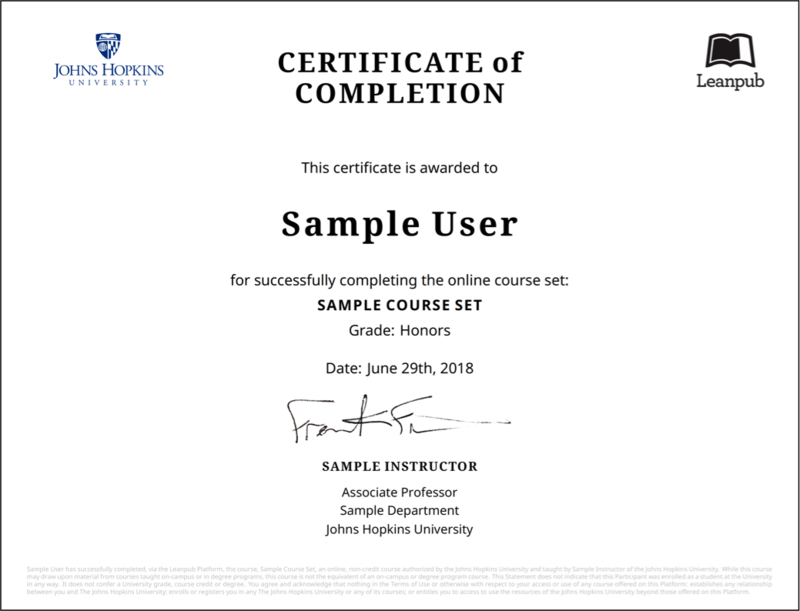 This sequence of courses teaches you the basics all the way from word processing to basic data analysis and how to network and get a job in data science. The courses are available on a "pay what you want/can" model so that they are accessible to everyone. All proceeds that go to the JHU Data Science Lab will be redirected to help improve training and placement in data science for disadvantaged individuals. Learn more about Chromebook Data Science at the Johns Hopkins Data Science Lab. Data science is one of the most exciting and fastest growing careers in the world. The goal of this series is to help people with no background and limited resources transition into data science. It would be helpful to have already taken our Introduction and Organizing Data Science Projects courses. We guide you through the rest! Set up a version controlled data science project on GitHub. Data science is one of the most exciting and fastest growing careers in the world. The goal of this series is to help people with no background and limited resources transition into data science. It would be helpful to have already taken our Introduction, Organizing Data Science Projects, and Version Control courses. We guide you through the rest! The appropriate accounts set up in our earlier courses. Data science is one of the most exciting and fastest growing careers in the world. The goal of this series is to help people with no background and limited resources transition into data science. It would be helpful to have already taken our Organizing Data Science Projects, Version Control and Introduction to R courses. We guide you through the rest! Data science is one of the most exciting and fastest growing careers in the world. The goal of this series is to help people with no background and limited resources transition into data science. It would be helpful to have already taken our Organizing Data Science Projects, Version Control, Introduction to R and Data Tidying courses. We guide you through the rest! The accounts you have set up in previous courses. Data science is one of the most exciting and fastest growing careers in the world. The goal of this series is to help people with no background and limited resources transition into data science. It would be helpful to have already taken the previous courses Organizing Data Projects, Introduction to R, Version Control, and Data Tidying. We guide you through the rest! Data science is one of the most exciting and fastest growing careers in the world. The goal of this series is to help people with no background and limited resources transition into data science. It would be helpful to have already taken the previous courses Organizing Data Projects, Introduction to R, Version Control, Data Tidying and Getting Data. We guide you through the rest! Implement your answers in code. Data science is one of the most exciting and fastest growing careers in the world. The goal of this series is to help people with no background and limited resources transition into data science. It would be helpful to have already taken the previous courses Organizing Data Projects, Introduction to R, Version Control, Data Tidying, Getting Data, Data Analysis, and Written and Oral Communication in Data Science. We guide you through the rest! Aboozar Hadavand is a postdoctoral fellow at Johns Hopkins Bloomberg School of Public Health. His current research involves analyzing MOOC data. He has previously taught at Barnard College (Columbia University), Brooklyn College, and Yeshiva University. Sarah is Human Genetics PhD student in the Institute of Genetic Medicine at Johns Hopkins. She studies the role of regulatory variation in neurodegenerative and neuropsychiatric diseases, like Parkinson disease and schizophrenia. Leah Jager is an Assistant Scientist of Biostatistics at Johns Hopkins Bloomberg School of Public Health, where she teaches biostatistics to students interested in public health. Leslie obtained her PhD in biostatistics from the Johns Hopkins Bloomberg School of Public Health and is currently an Assistant Professor in the Department of Mathematics, Statistics, and Computer Science at Macalester College. Leonardo Collado-Torres is a Staff Scientist at the Lieber Institute for Brain Development. He has been learning and using R & Bioconductor since 2008 and works analyzing genomic data. Leonardo occasionally writes blog posts and is a co-founder of the LIBD rstats club.